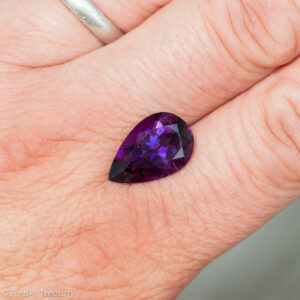 A deep purple amethyst pear from the Four Peaks Mine in Arizona, 7.44 carats. 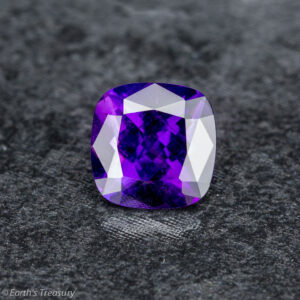 This dark purple amethyst pear shows flashes of deep blue and red. 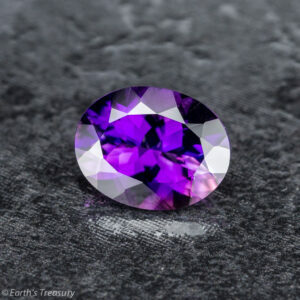 It comes from rough mined at the famous Four Peaks amethyst mine in Arizona. 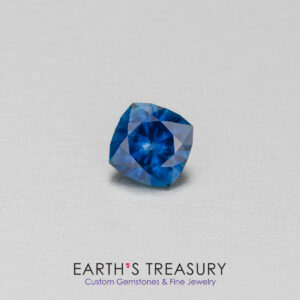 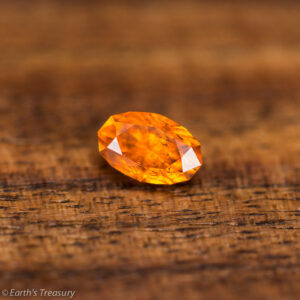 The gem weighs 7.44 carats and measures 17.2 x 11.1 x 8.1 mm.